Crack the Combo Mobile Game. Kelowna’s 99.9 SUN FM and Orchard Park shopping mall have launched a new mobile game called Crack the Combo. Each day 99.9 SUN FM promotes the mobile game by asking players to text message in a daily keyword to the station’s SMS number: 78636. Players are instantly sent back a unique 6 digit code to their mobile device, which is hot linked to their cell number. Players are further instructed to visit the Orchard Park shopping mall where they must enter there combination code number into specially marked sports lockers. If the locker opens; the player scores the swag! The mobile game works on any mobile device and is supported by all mobile network operators in Canada. The game is free to play but your regular standard texting rates may apply – the typical rate you text a mate. Halifax radio station the BOUNCE 101.3 is giving you the chance to win lunch from McDonalds! On the last Monday of each month, you could win free lunch from McDonalds! For a chance to win – tune in to the Mel B show. She will let you know a “secret code”. Text that code to the number 101-101 for a chance to win lunch on McDonalds! Competition lines can be accessed by any Canadian mobile device. There is no premium charge to enter, however, carrier standard rates may apply for off plan texters – your typical rate to text a mate. 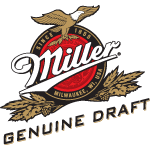 TXT2WIN with Miller Genuine Draft. TSN 1050 and Miller Genuine Draft have launched a new mobile contest called MGD Beyond the Basket Raptors Experience. If you are 19, or over, and reside in Ontario – then you can enter for a chance to win courtside seats to a Toronto Raptors NBA home game. To automatically enter the competition simply send a text message. Four courtside seats on January 16th for Toronto vs Atlanta. A private tour of the Air Canada Centre. Chalk talk with a member of the Toronto Raptors front office. A shoot around from courtside. Meet & greet with Toronto Raptors personalities. And a live showcase during the game’s broadcast. Win a Honda Fit with SUN FM. 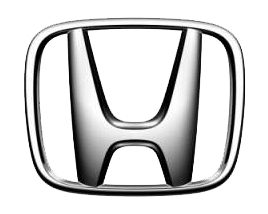 Kelowna’s #1 hit station 99.9 Sun FM and Harmony Honda are giving away a brand new car ‐ the all new 2015 Honda Fit! For a chance to enter; tune in to SUN 99.9 FM and listen out for instructions. Discover the qualifying text to win keyword and post it to 78636 along with your full name. Competition lines are open across Canada and on all mobile networks. Standard text rates may apply ‐ the typical rate you text a mate. Toronto’s Virgin 99.9 FM is giving away a $100 gift card to Pizza Nova! To enter the competition simply text PIZZA to 999 99 from your mobile. Competition is open on all mobile networks in Canada. Standard data rates may apply – same rate you text a mate. Specializing in fresh toppings, Pizza Nova serves over 4 million pizzas annually, and offers a wide range of menu items including hand-tossed specialty pizza, fresh salads, lasagna, panzerotti, toasted Ciabatta sandwiches like Veal, Porchetta and Meatball; amazing chicken wings and our famous BBQ back ribs. VIRGIN Radio Edmonton is giving listeners the chance to text in and win a sushi lunch for their work place. Tune in to VIRGIN 104.9 every Monday to Thursday morning, between 8AM MT and 9AM MT. Listen out for the cue to text EDO to 104-104. DJ Pepper and Dylan will draw a text winner to win lunch each day! VIRGIN Radio will personally roll out an Edo Japan sushi lunch right to your workplace for you and your coworkers! Competition is available on all mobile networks. Standard text rates may apply to participate. Brought to you by Edo Japan and 104.9 VIRGIN Radio! Edmonton’s 95.7 CRUZ FM are giving listeners a chance to win a Trek 3500 Mountain Bike courtesy of outdoor pursuits company Mud, Sweat and Gears. McCord and Bradley from the CRUZ Morning Show are sending Gary James to a different location in the Edmonton area with only a bicycle. Gary will ride that bicycle from the location back to the CRUZ FM studios on Calgary Trail. Simply tune in to discover the location and then text in how long you think Gary will take to ride the bicycle back to the CRUZ studios. To enter simply text the word BIKE followed by your name and guess in minutes and seconds to 957-957. (be sure to include your name, guess in minutes and seconds). The person with the closest guess (without going over) will win. Baton Rouge Kanata has launched Club Rouge, a new Mobile VIP Club. To join the exciting Club Rouge, text ROUGE to 288288 and win an amazing prize. Club Rouge members will be among the first to hear the latest news from the restaurant and receive exclusive offers. Club Rouge utilizes Magnet Mobile’s MStudio platform. For more information about Club Rouge or to find out how you can launch your own mobile campaign, please contact David Farnes . This February the biggest question is how many gold medals will Canada win? Jamesons Irish Pub could give you more than a penny for your thoughts: All you have to do is text GOLD to 985985 with your prediction and you are automatically entered to win $500 cash! It is the simplest way to turn your 2 cents into $500! Standard Network Rates May Apply. North America’s leading high street music retailer, HMV Canada, has just utilized Facebook and mobile text messaging to promote their new digital service – the VAULT, A new sensible way to manage & store your mobile music listening! While stocks lasted – their loyal Facebook fans were able to text a unique keyword to 288288 to obtain a code to download free music tracks from the VAULT. The VAULT is a new innovative service that enables you to download and stream music to your favorite devices. Discover more about the VAULT online here. YM Inc Launches “Outta This Planet” Contest. Retail giant YM Inc has launched a mobile and online contest for its Urban Planet store banner. The Outta This Planet contest gives players the chance to win great prizes by texting WIN to 288288 and registering at www.outtathisplanet.com. Prizes include a $250 shopping spree at Urban Planet, free movies for a year and shopping trips to New York, Miami or LA. From August 10th – Urban Planet shoppers, who spend $25 or more, will be awarded PIN code vouchers, which can be redeemed by SMS for contest entry. 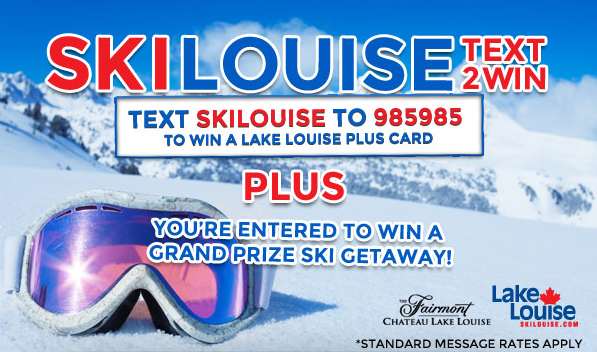 Text 2 Win with Ingrid Schumacher. Tune into Toronto’s 104.5 CHUM FM for the Word Of The Day and then text to win! Every weekday morning at 9 am ET, Roger, Darren & Marilyn announce the Word Of The Day. Text message the word of the day to 104536 ($0.50 per text entry). Every noon hour, Ingrid Schumacher will pick a text winner and award a prize. The daily prize for this week is $100 to spend at any Highland Farms grocery. At Highland Farms, you can upgrade to a higher level of freshness at no extra charge! Text 2 Win with Toronto’s 104.5 CHUM FM. Fancy winning $100 to spend at any Highland Farms Grocery store? Just listen in to Toronto’s 104.5 CHUM FM for the Word Of The Day and then text to win! Every weekday morning at 9 am, Roger, Darren & Marilyn will announce the Word Of The Day. Simply, text that word to 104536. Every noon hour, Ingrid Schumacher will pick a text winner and award the days prize. A $0.50 network message transit applies per text. Visit highlandfarms.ca for their weekly flyer and for a location near you. Text to Win: See Lady Gaga in Miami. The Back Alley Nightclub, Calgary’s hottest night spot, is giving its fan base the chance to win a trip to Miami to see Lady Gaga. Winners will be jetted out to the American Airlines Arena on April 13th 2011 to see Lady Gaga preform in her Monster Ball tour. For a chance to win clubbers must text GAGA to 388388 and must be in the club on Friday 25th March. The winner will be declared live on the night. The Back Alley also invites clubbers to join its fan base community by texting in the word JOIN to 388388. Through the mobile club members get promo deals, bump passes and event alerts. The mobile service is free but your standard SMS network rates may apply. TXT2SEEME.com Connects to m3 Platform. Txt2Seeme has selected Magnet Mobile Media’s m3 Platform to broadcast their instant SMS information service. Txt2Seeme has created a unique SMS service that connects sellers with potential buyers in the automotive sales industry. Consumers can text in keywords found on “for sale signs” promoted on vehicles. Within seconds of texting in to the Short Code, 73363, the consumer receives full details about the car. To use the service is free but your network standard message rates may apply. The service operates across all mobile networks in Canada.